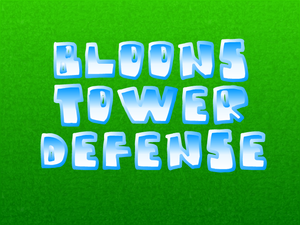 Bloons Tower Defense is the first of a rather popular long-running tower defense series of games. A placeholder graphic, presumably as a template for the resolution needed for the graphic size needed for the bloons. Text that would be replaced by a script. The tower can be restored and is functional. A quick demonstration can be seen here. This page was last modified on 26 November 2016, at 15:25.